Microsoft surprised everyone Monday when it announced plans to acquire LinkedIn for more than $26 billion. But it wasn’t the only suitor: Salesforce wanted in, too. The San Francisco-based software-as-a-service vendor was interested in LinkedIn primarily for its recruiting business, Salesforce CEO Marc Benioff told Recode on Thursday. The company gave LinkedIn a “solid look” but was unable to match Microsoft’s huge offer. Salesforce’s interest makes sense: information from the business-focused social network could have proved useful to people working with Salesforce products. Microsoft has similar ambitions for LinkedIn, which it sees as a potential boon to its Dynamics CRM and Office offerings in particular. According to Recode, Salesforce approached LinkedIn when the company was already deep into negotiations with Microsoft. Salesforce’s bid was reportedly a combined cash and stock offer, while Microsoft’s final bid was all cash, and allows LinkedIn to continue operating independently. It’s an interesting bit of backstory, especially given that Microsoft last year reportedly tried to buy Salesforce. 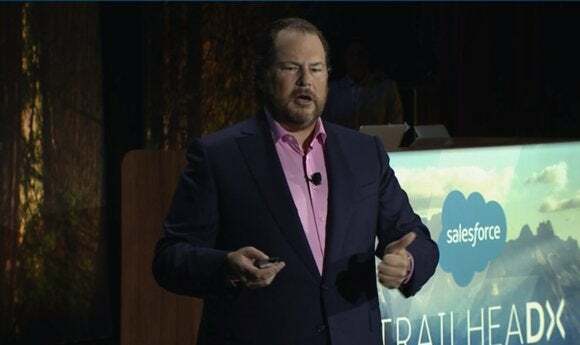 Salesforce itself is no stranger to big acquisitions; two weeks ago it said it would buy e-commerce cloud service provider Demandware for $2.8 billion. “It’s the season of M&A,” Benioff told Recode. Microsoft, meanwhile, isn’t slowing down its acquisition pace either. 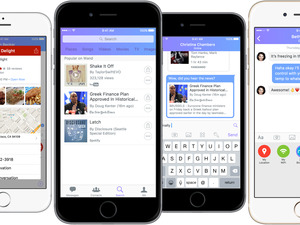 On Thursday it said it had acquired chat app maker Wand for an undisclosed sum.